Like so many other thousands and thousands of people across the globe, I'm a massive admirer of the lovely actress Ione Skye and I especially enjoy her projects from the late 1980s. One of her early films was a science fiction piece called Stranded from 1987. While many of Ione Skye's movies were popular when released or have since attained cult popularity, Stranded remains somewhat obscure amongst her oeuvre. 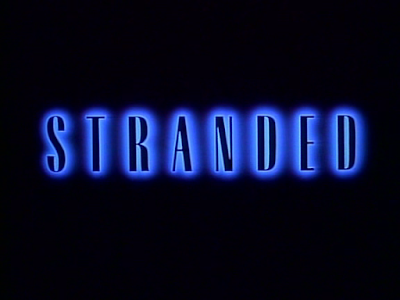 In Stranded, Ione Skye plays a beautiful teenage girl who lives with her grandmother (Maureen O'Sullivan) in an isolated home somewhere in rural America. On a quiet, normal night, a group of aliens crash land and take shelter within the home. The girl and her grandma are, at first, shocked by the presence by the alien lifeforms. They soon become friendly with the creatures and begin to see that they mean no harm and only need assistance. However, after the aliens accidentally kill a local young man, the police arrive and want some answers. 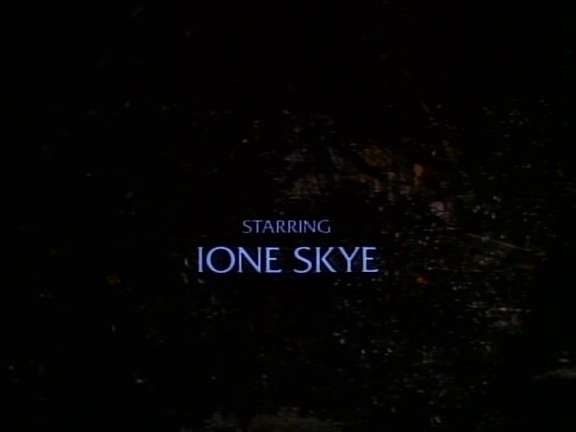 While the situation escalates, Ione Skye and her grandmother bond with the extraterrestrials. Will the aliens be able to make it out alive? This is a very underrated science fiction film. A simple story is told well, the performances are good and there are lots of nice special effects. Perhaps one day this project will receive a proper DVD release and more people will be able to enjoy this classic '80s sci-fi romp.